There’s nothing remotely fun about doing your taxes, but for some, the promise of a tax refund makes the whole thing tolerable. Pulling that official-looking envelope from the Department of the Treasury out of your mailbox and seeing it hit your bank account is something of a thrill. So now that you have a chunk of cash on hand, what should you do with it? You could invest it or squirrel it away for a rainy day. But if you’re someone who likes your hard-earned money right where you can see it, you could use your tax return to give your living room a spring refresh. We asked top home decor experts what pieces they’re coveting and would seriously consider spending their tax refund on. 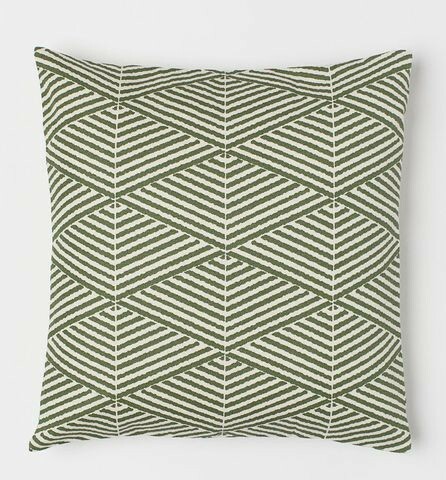 New pillow covers will liven up your living room. Switching up your pillows can make a huge difference in your room at very little expense—perfect for when your refund check wasn’t quite as big as you’d hoped. Sarah Cousins of Sarah Cousins Interior Design says H&M has great pillow covers in a wide variety of materials and designs. Not in love with the print above? H&M has over 200 other options online. Trays can hold candles, books, and numerous other tchotchkes. Trays aren’t just for coffee tables—you can perch one on top of nearly any surface, from a buffet to an ottoman, or even a bay window. “Trays are always a good idea. You can change the whole look of a piece of furniture by adding a stylish one on top,” says Cousins, whose favorite pick is this python vanity tray from Hudson & Vine. Add some texture to your space with this stool. 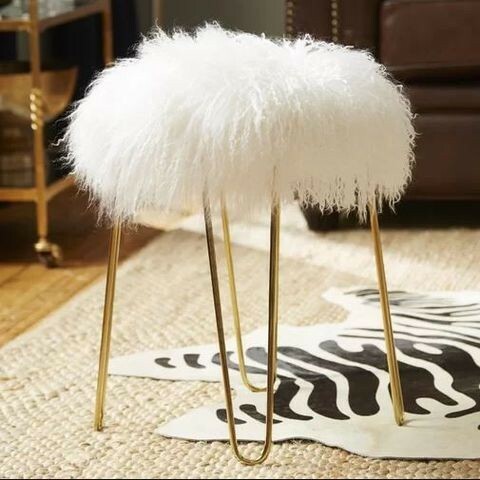 A little stool can make a big difference in your room, especially if it’s covered with faux Mongolian lamb fur (see the plush stool above). Grab this stool from Joss & Main to get the look in your home. 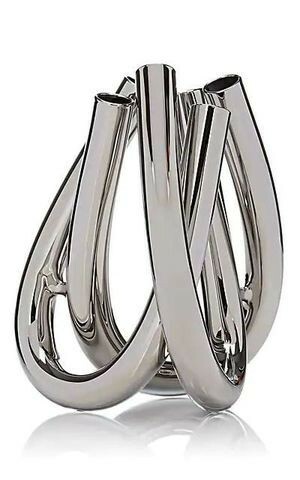 This vase doubles as artwork. Erick Espinoza, creative director for designer Anthony Baratta, recommends buying something to get people talking. “[You need] a couple of conversation-starter knickknacks,” he says. He recommends this funky glass vase from Barneys, a piece that doubles as art and would definitely prompt guests to ask about it. This gem-cut table will change the tone of your room. Why have a boring, square side table, when you can go outside the box with a more interesting piece? 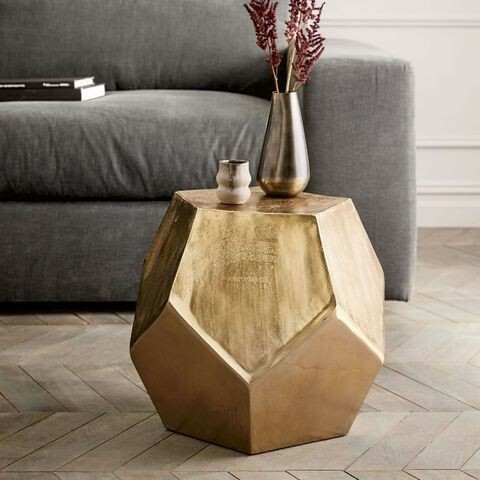 “We love this antique brass, geode-cut side table from West Elm. Gems, crystals, and geodes are having a major moment in art and fashion, and we love pulling that into the design of a space,” says Mackenzie Collier of Mackenzie Collier Interiors. You can literally brighten your room with a new light fixture. Home decor made of natural textures is all the rage for 2019. 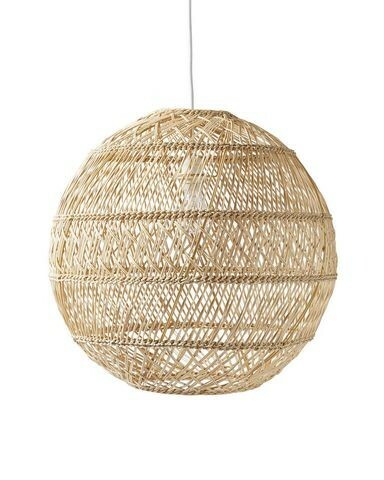 That’s why designer Jessica Nakata of the Black Door loves this rattan light fixture from Serena & Lily. “It adds visual interest and can quickly change or update the look of the room,” she says. Gift yourself a new comfy and stylish place to sit. Every living room needs a comfy accent chair, so if you’re in the market to update your seating options, take a look at this leather chair. 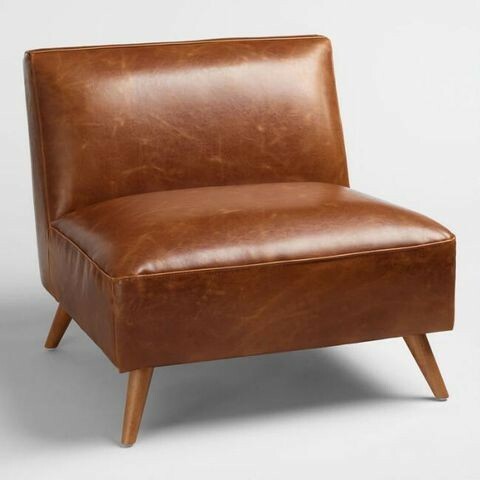 This Gwyneth Paltrow–approved chair belongs in your living room. Rebecca Rowland, owner of Rebecca Rowland Interiors, says all-over upholstery on seating is currently a big trend. “That means no wood or metal accents—every bit of the piece is covered in fabric,” she explains. 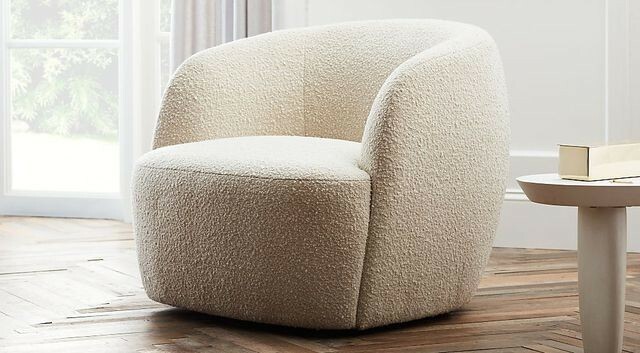 She’s had her eye on this armchair from the successful goop x CB2 collection with furniture and accessories designed exclusively by Gwyneth Paltrow. A velvet sofa is a timeless centerpiece for your living room. 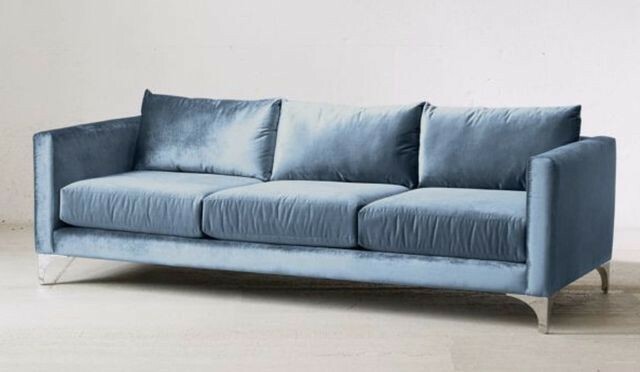 If you’re going to spend $1,000 in your living room, do it on a jaw-dropping sofa that will really anchor the room. Rowland suggests you start with this velvet masterpiece from Urban Outfitters. “The sheen on the velvet will add a luxe feel to your room,” she says. And it comes in eight different colors so you’re bound to find one that suits your style. The post Refresh With Your Refund: 9 Living Room Decor Items to Buy With Your Tax Rebate appeared first on Real Estate News & Insights | realtor.com®.